They all enjoyed the sun for a few minutes but wanted to go in before they got a little sun burnt! So today is the big event... the Royal Wedding in London. I'm sure a lot of you might be watching it or watching the highlights of it on TV? As we all know, I'm not the most technologically advanced person in the world. 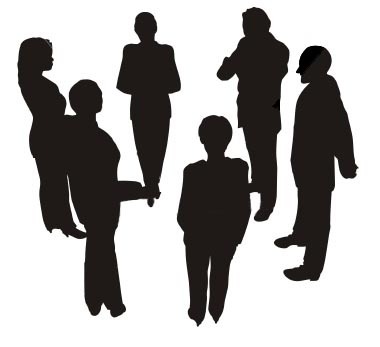 But recently I took a big step into a techie world I had not yet dipped a toe into. I bought a smartphone. 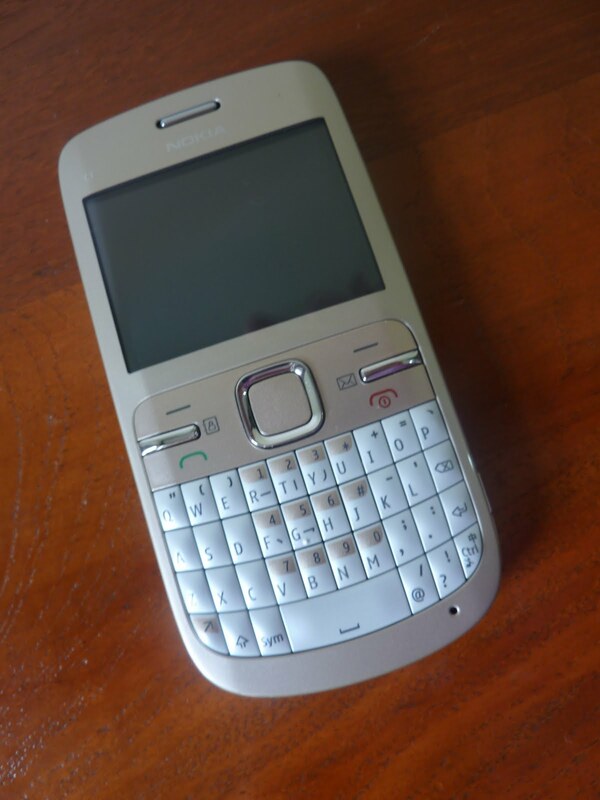 My old phone was so unsmart, it didn't even have a camera. But I loved it anyway. Even so, it was time to upgrade. I needed something with internet access on the go. I'm a Nokia girl. There's just something about Nokia phones that I like. They feel comfortable to me. So when I went looking for a new phone, there was no question which brand I would get, I just had to settle on which model. It was an easy choice: the Nokia C3, with WiFi, Facebook and Twitter apps, and a good camera. Here it is. Can you guess why I chose this particular color? Don't they look great together???? With the information I keep in my Deco Filofax and the connectivity of my new phone, I can rule the universe with just these two items! MWAH HA HA HA HA HAAAAAAAAAA! Does anyone else match their phone and Filofax? Along with many others, I just love a good old fashioned wedding, and especially a Royal Wedding, so I am very much looking forward to the big event on April 29th, when Catherine Middleton and Prince William get married in Westminster Abbey. Like many, I shall be watching it on television, and maybe even on the big screen, which is to be put up in one of our local churches. It is a date which is of course firmly written in my Filofax, along with our street party and neighbourhood celebrations which are to follow in the afternoon and evening. 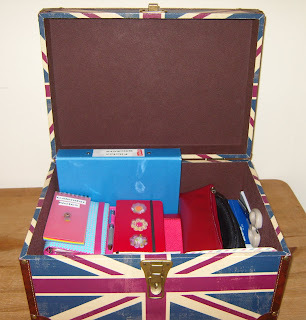 In the spirit of celebration, I thought that this must be the ideal week in which to share my Union Jack box with you. As you may have guessed, it's my Filofax storage and goodie box. 8. Two pencil cases, containing Frixion pens, my favourite Parker pen and a range of pencils and erasers. 12. And finally, a range of small mini jot- pad sized notebooks, on which to make short shopping lists. Whatever you are doing on April 29th, have a wonderful day! 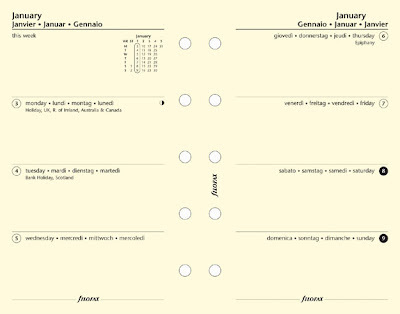 2012 diary inserts are now available on Filofax US and UK websites! Yes, I have been checking EVERY DAY waiting very impatiently for them to arrive! Not all formats are available yet, for instance I'm still waiting for the 2012 month on 2 pages in Personal and A5 size on the US website. But I'm sure they'll be up any second now! 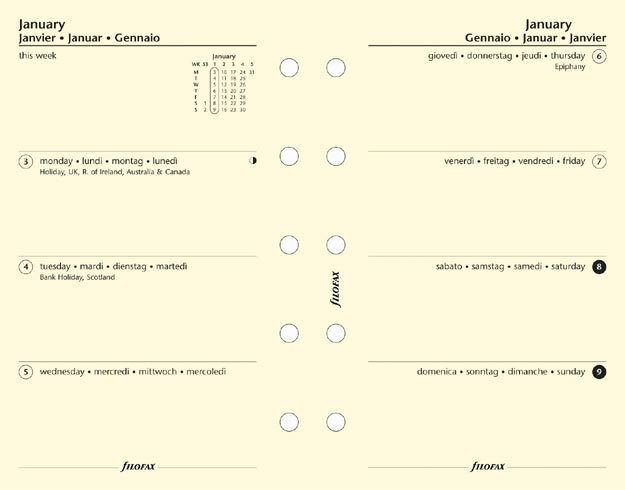 If, like me, you are impatient to start planning next year already, you can find the 2012 diary inserts at the links below! To continue our What's in your Filofax? series, this week's focus is on lists. Filofax binders can hold an endless variety of lists of all types, indefinitely (unlike bound-book planners which would require you to re-write your lists each year). You can add new pages to existing lists, remove a list entirely, or adapt an ongoing list as needed. In my Lists tabbed section I have lists for long-term to-dos; things for visiting family members to bring for me from the US; things to get in Scotland the next time we go back; books about Scotland to read; science books to read; books about Scotland to get; other books to get; DVDs to get; websites; magazine subscriptions; gift ideas for family members. In my Me tabbed section I have a list of quotes I find inspirational. I also have a list of gift ideas for me so that when a family member asks me what I want for my birthday or a holiday I have something in mind to tell them. In my Goals section I have lists of goals in the following categories: Learning goals for my son to prepare him for Kindergarten this fall; Personal goals; Home and Family goals; and Financial goals. I also keep lists of my New Year's Resolutions for each year, to remind myself of how my focus changes over time. In my International section I have a list of all my frequent flier numbers and other membership rewards numbers. What lists do you keep in your Filofax? If you have any young adults in your home you know that at this time of year they will be busy revising for their end of year exams. Well it's now your turn to revise and also sit your exams at the end of year Philofaxy University where you have been studying Filofax, life the universe and anything else we can think of! Little did you know that when you started reading the Philofaxy blog that it was part of your continued professional development, thinly disguised as an excuse to lead you in to financial ruin! No, we want you to expand your horizons and bring your Filofax in to all parts of your daily life both in your professional life and your home life. So the exam papers have been set, but to help you the questions are based on posts on the blog from April 2010 to March 2011. You will obviously not need to hide your revision notes up your sleeve or write them on the inside of your pencil case.... no this is a fully open exam which you can take at your own leisure, no need to watch the clock, but we would like your answers in by the end of the first week in May so a calendar rather than clock might be more appropriate. So here are your questions. Please answer as many as you can, the details on where to how to submit your answers are at the end of the question papers. Good luck and try your best. Don't forget to put your name at the top of your answers. Q1. 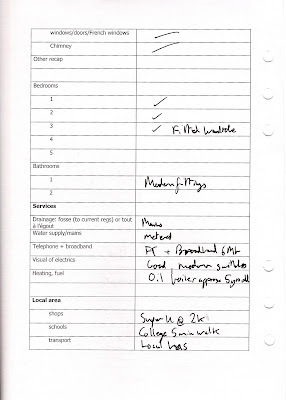 What is the name of the manager at the Conduit Street Filofax Store and what is the phone number of the store? Q2. 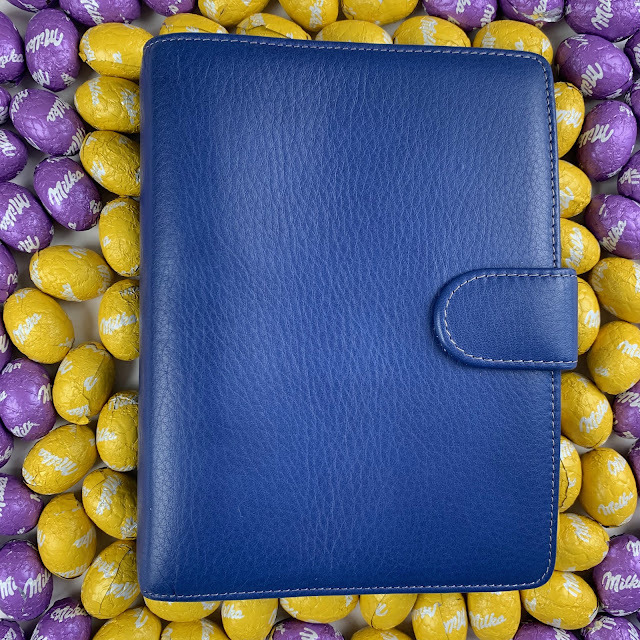 Where will you find the largest range of Filofax products in Scotland? And name the reader that works there? Q3. What was the title of the 500th post on Philofaxy, and who wrote it? Q4. 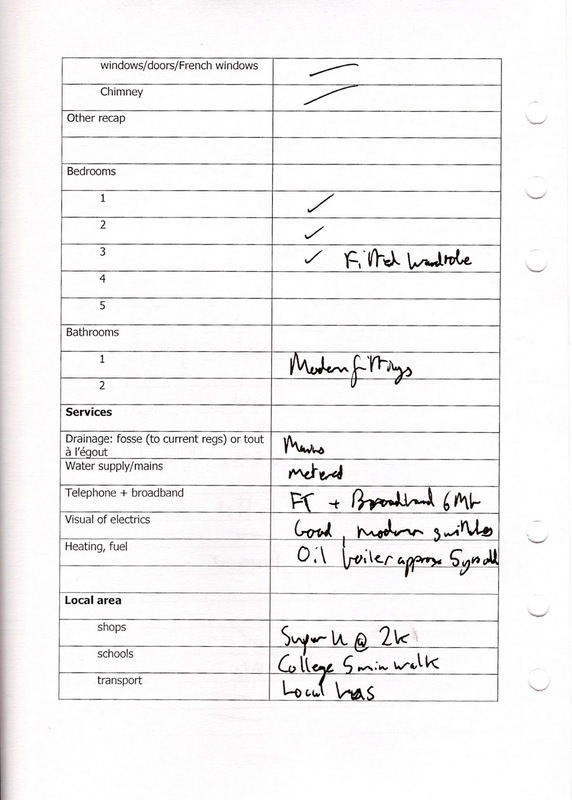 Which Guest Poster used a Filofax Travel Pack to organise their trip to St. Petersburg and which model/size did they use? Q5. How many items in total does Steve carry in his 'man bag' including his pocket Filofax, and what was the make of the bag? Q6. 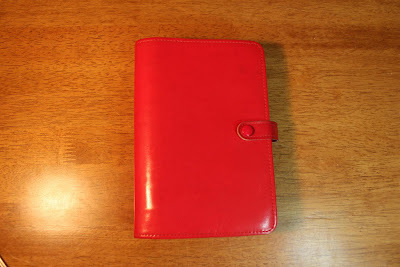 What brand of wax polish did Steve use to restore his wife's 1980's Personal Filofax? Which by the way she now uses every day! Q7. 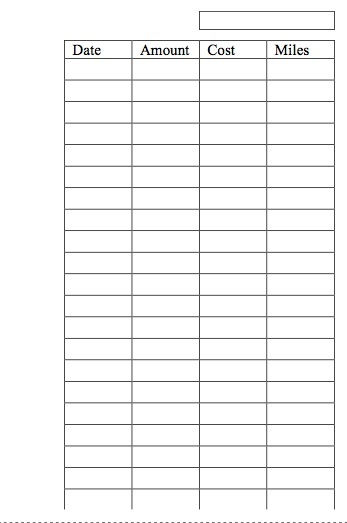 In the past 12 months which charity has Philofaxy donated to, through the commission earned on sales of Filofax goods? Q8. What unusual course did Philofaxy readers have between Main and Desert when they met in London in November? Q9. Who is the author of the book Filofax Facts? and in what year was it published? Q10, Who did Philofaxy send along to the Champagne Launch of the Gourmet Gift Box set, and what gift did she choose? Q11. What model and colour is Steve's first Filofax Mini? Q12. Who travelled the furthest to attend the Philofaxy meet up in March was it Thomas or Steve? Q13. In terms of Philofaxy units what is the value of an A5 Filofax in Philofaxy units? Q14. 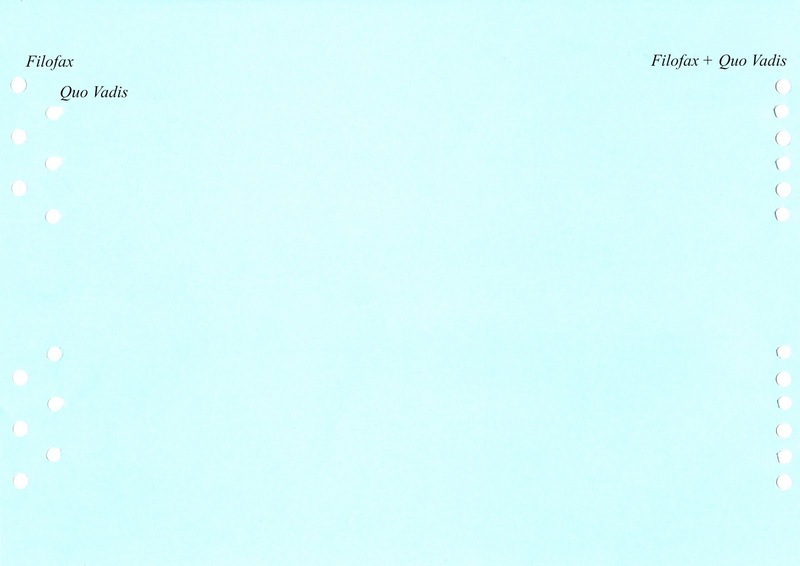 How many pages are there in the 2010 Philofaxy Yearbook in pdf format? To enter your answers to the questions above, email them to philofaxy at gmail dot com and mark the email with the subject 2011 Exam Quiz. Sadly there are no prizes this time but certificates will be awarded at the University Degree Ceromony by the University Vice Chancellor. For a limited period Filofax UK are offering free UK delivery on all Filofax products, no matter how small your order is. To claim their discount, customers must simply enter the promocode: EASTER2 when prompted at the checkout. This promocode is valid on all Filofax products. Simply click on the banner below and add items to your order in the normal way and use the promo code when you go to the checkout. Note that this offer is only valid from 1pm Tuesday 26th April to 1 pm Thursday 28th April 2011. Dunk your croissants in your coffee and enjoy these posts... I know it's a bad habit... one that I don't do you will be pleased to hear! There is also a Personal Amazona on Ebay as well from a different reader. Good luck if you bid for them. Note: Post edited as the earlier auctions have now competed. A Filofax for a Royal Prince and Princess? So this is the week of the Royal Wedding. If you were asked to chose a Filofax for William and Kate what would you chose? Thank you for your further feedback and appreciation. The new Filofax Flex, and similar products? In the new Filofax catalog there is a new product called Flex that's not a ring binder, but instead a cover where slim booklets can be added in. You can choose what type of inserts you want including diary, note paper, contacts etc. This looks like it could be a great combination of the flexibility of a ring binder without the bulk of the rings. Also, there's a similar product from a different brand that Steve and a Philofaxy reader have each suggested to me (and I'm very sorry I can't remember your name right now! My brain is over capacity this weekend!). The one I'm thinking of has a cover where slim booklets are held in by clips. It's a similar idea where you can choose whatever booklets you want including diary, notes, etc. If one section fills up before another, you switch out with a fresh one without having to start an entirely new book. Does anyone know what I'm talking about?? (Do I know what I'm talking about??) Reader Terri emailed me recently with the classic Filofax problem (which I always have myself) of Book Too Big, Pages Too Small. I was trying to suggest this product to her as a possible solution, but completely blanked out on the name of the product! Not only that, but does anyone have any idea when the Filofax Flex will hit the markets? Thank you for any info everyone!! BTW I have no connection to this company - just a happy customer! Glad I found this! Does anyone know of other similar products? It's Maundy Thursday, the 3rd day of Pesach, and 2 days before ANZAC Day. 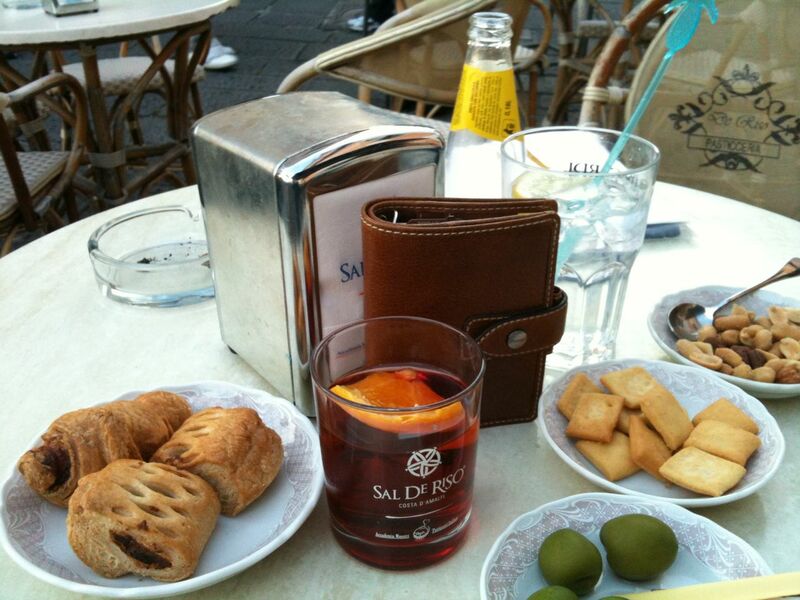 What's your favorite holiday that you would never have known about if not for your Filofax? 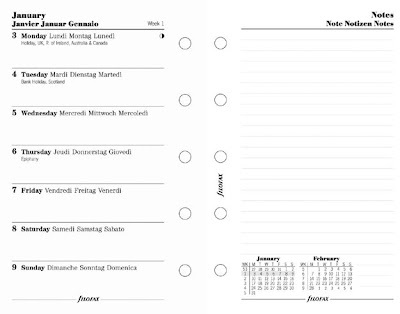 Dodo Acad-Pad now in A5 Filofax-compatible format! Due to popular demand, the very clever and funny Dodo Acad-Pad is now available in the A5 Filofax-compatible size, in addition to the previously-offered Personal size Filofax-compatible size (and bound in Desk, Wall, and Mini sizes). 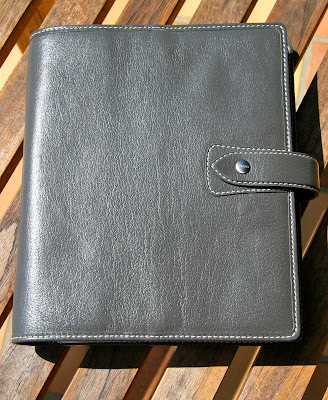 This is the very first year the Acad-Pad has been offered in the A5 size, after two years of the Dodo Pad calendar-year diary being offered in this size. If you are interested in this diary insert but want to see more about it, you can check out Miss Peabody's post about the 2011-2012 Acad-Pad range. For a (mostly) page-by-page walkthrough with lots of photos you can see my post about the bound Acad-Pad on Plannerisms. 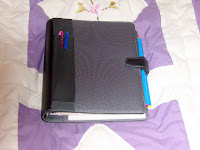 Also, you can look at my post about my A5 Dodo Pad diary insert in my Domino Filofax, to see some photos of the Dodo Pad- Filofax combination in action. The Filofax-compatible Dodo Pad and Acad-Pad diary inserts are a great option if you are looking for a diary insert that's fun and organized at the same time! So you want to order something from an overseas Filofax website? Do they even offer overseas delivery? Let me just say it's not simple... rather than quote actual costs in this post because they are likely to change with time, I thought it best to simply list pages that detail the costs. Why are so many sites just like a shop window and you can't order from them? It's because in those countries they are only distributors and they aren't allowed to sell direct to the public. 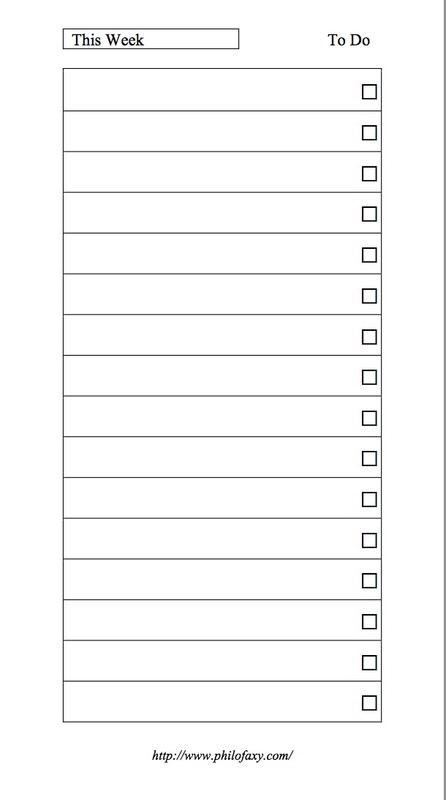 The sites that do offer on-line ordering I think are subsidiaries of the main Filofax UK company. 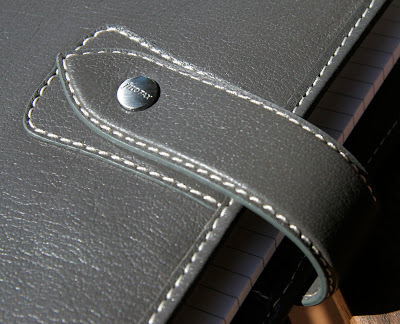 We appear to be encouraging more people to blog about their Filofax organisers... not a bad thing, just an observation! What's in your Filofax, NOT on the rings? One of the many wonderful things about Filofax is that there's loads of pockets in the binders to stick things into. Cards, tickets, scraps of paper, a nail file, some band-aids, and whatever else can fit into the pockets and card slots. 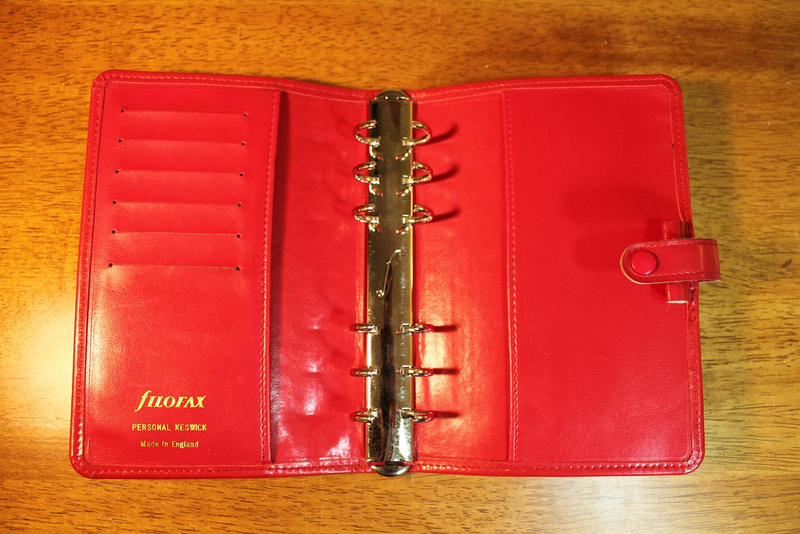 What do you have in your Filofax that's NOT on the rings? I've been a subscriber to your blog for quite a while now and I thoroughly enjoy reading the varied articles about Filofaxes and the many ways they are being used by people. 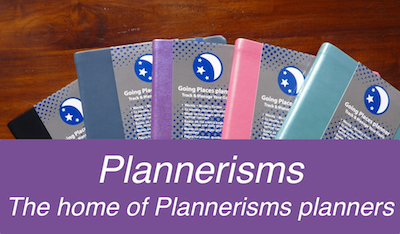 I myself do not routinely use a Filofax because I prefer the half-sheet side of organizer, and here in the US that doesn't work so well with an A5 format planner. 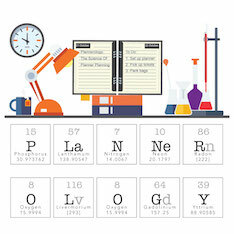 Regardless, I love the work you do and you have given me many ideas how to use my planner (a DayTimer). As you can see by the price tag in the picture, it was $0.80. But since it was Thursday, there was a 25% sale, and I got it for my wife for $0.60. It needed some cleaning, and they had the gall to attach the tag with staples (which actually rubbed out surprisingly well), but all in all, it's in very nice shape. The inside is near perfect and there is only a bit of staining on the outside. Not enough to be un attractive, but to give it the look of being used and loved. Hopefully, you enjoyed this little anecdote, and if you feel so inclined to share it with your readers, please feel free to do so. There are much higher quality pictures available on my Flickr account (http://www.flickr.com/photos/helz/) that you are free to use as well. 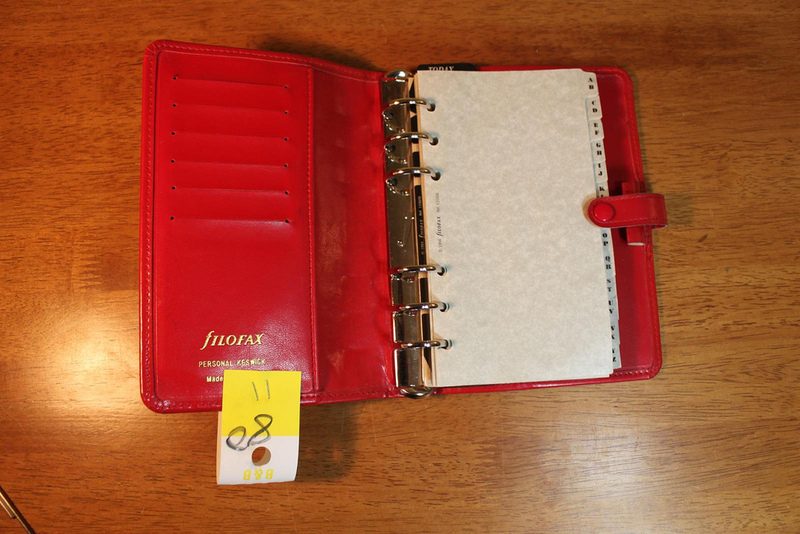 Thank you Jason, yes we always love to hear about 'Filofax Finds' I always look for them in charity shops when I'm in UK, not come up lucky yet, but you never know!! The theme is also used in the latest paper catalogue. Adelphi and Amazona organisers or accessories are on Easter promotion in the shop (30% off) and this finishes on Saturday. Please note the shop will be closed during Bank Holidays but open on Saturdays. Thanks for all your feedback last week, it's good to know we are managing to answer so many of your questions. If there's any that we missed in the last few weeks, post them again as a little memory jogger. Just in case you haven't read my two updated posts... 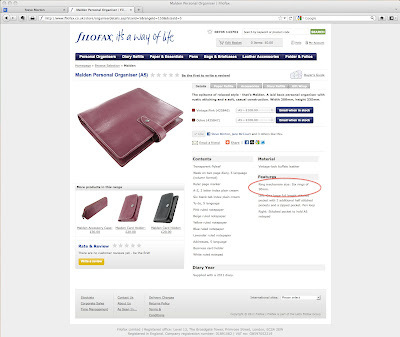 I have been in contact with Filofax UK again today regarding diary inserts shown on the UK website. But in their reply they also said that they have investigated the Malden size issue further and in fact it should have a 30mm mechanism as stated on their website / catalogue. However, there were some early stock quantities which contained a 25mm mechanism in error. Bulk stock which will be arriving shortly will contain the correct 30mm mechanism. They are arranging a replacement for me as soon as stock becomes available. Naturally I'm quite pleased about the outcome, because to me a 30mm A5 Malden is close to the perfect Filofax for me. I have done some further research in to the availability of diary options I mentioned in my previous post. Oh I wish Filofax had an international site it would save us all a lot of time! The above inserts also appear in a very recent blog post by Kanalt with comparisons to Day Runner inserts. 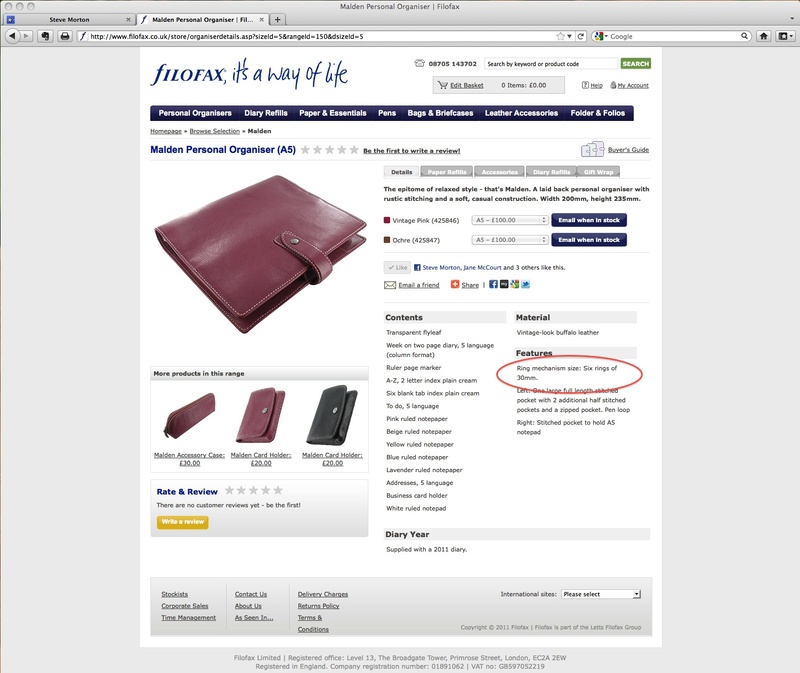 The French Filofax site does offer international delivery. I couldn't let today pass without mentioning the Philofaxy meet up, between Laurie and myself a year ago today. In comparison to the meet-ups that have happened since it was a fairly low key event! But just as memorable as I'm sure Laurie will agree with me. In the last 12 months a lot has happened. Laurie has moved twice, first to her beloved Scotland, land of snow and 'weather' and beautiful views, and more recently to Jakarta, a 20 degree temperature shift and a whole different culture! I also took a big change in life style by resigning from my UK job and emigrating to France and in to semi-retirement. I still work, but only part time... the rest of the time I've been devoting to Philofaxy.. The meet up between Laurie and I that Sunday fuelled a lot of posts from both of us as we later recalled things we had discussed that afternoon. The same thing happens when ever we have a Skype chat or a meet up it sparks off questions or ideas that are generated by talking to you the readers, which is great. Philofaxy has also changed in the last 12 months, a lot more people have discovered the blog and return to read the latest posts virtually everyday. I hope we are keeping you interested and helping you make better use of your Filofax Organisers. I'm looking forward to future meet ups both in UK, Europe and in the US, although sadly I can't promise to be able to attend all of them. For about the last month I've been running two series of To-Do lists. A traditional paper one in my slimline Filofax, and the other using a free app on my iPod Touch and it's also linked to my iMac. It will not surprise you that about two weeks ago I more or less abandoned using the electronic one, but the paper one continues to work well. The paper one is quicker, may be not neater (remembering my hand writing! ), but it's just so much easier to carry around and use at a glance as a reminder of what I have got to get done this week, or this month. I've done some of my own pre-printed to-do lists with 'This Week', 'This Month' 'Future Purchases', 'Projects' and 'Do Sometime' in the header. Printed on Personal size sheets these make the job of updating the lists every so often much easier to do. I am also inclining towards paper only calendars now. Whilst Google Calendar works and I can share it with the rest of the family. I find a paper calendar so much easier to manage and keep up to date. It has become a weekly Sunday evening ritual whilst I'm chatting to my UK radio friends via Skype to sit and up date my diary for the forthcoming week and also up date my Pocket Filofax at the same time. Do you try to keep dual systems up to date? I'm in the process of re-organising my A5 Finsbury Filofax. This organiser will become my work Filofax, which I use when we are doing property searches for people wanting to move to our area of France. 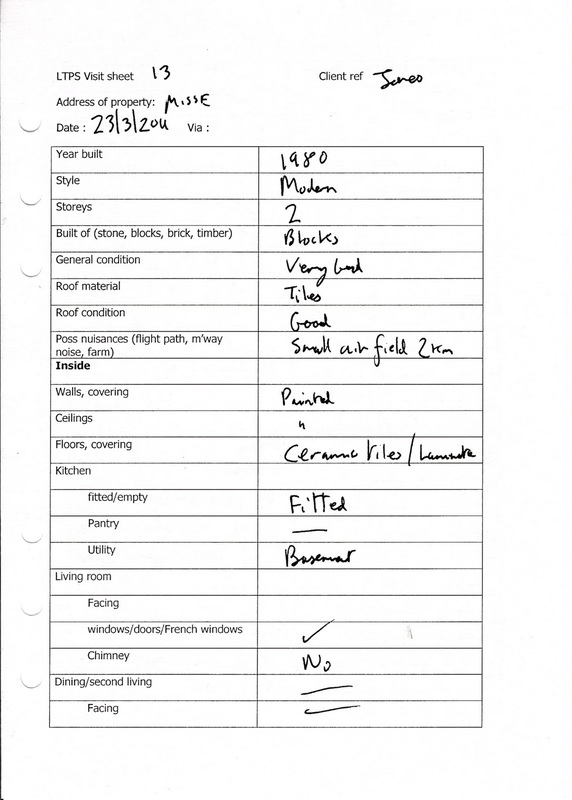 We can visit up to about 25 different houses before we submit a report to the clients. So there are a lot of details to collect, photos to take etc. Up to now I've been using my Finsbury Slimline, but I've been using a lot of personal size paper, so the change up to A5 seems to make a lot of sense. I've printed a lot of the inserts myself and here are a few of them with some 'mock' details filled in so you can see what I need to record for each house. Please excuse my handwriting! 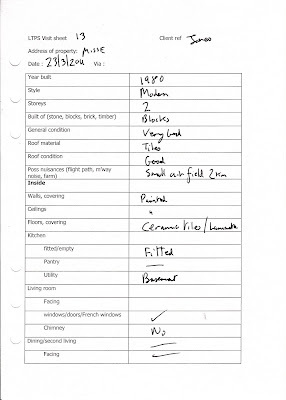 Page 2 of the survey sheet. 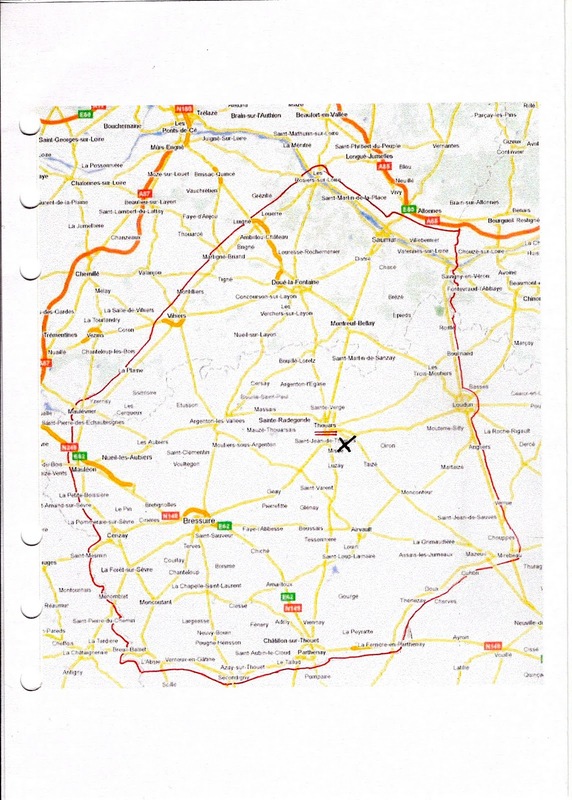 A map showing the approximate location, we often don't get given the address of the property until we get there. I tend to then find the house using Google Earth and measure distances to shops, airports etc from that. 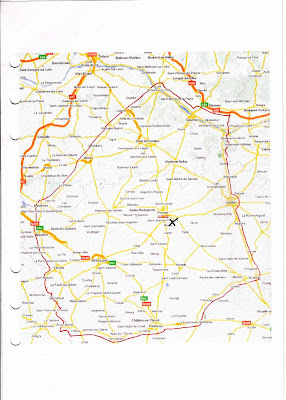 We only work in this defined area which is centred on our house with most places within about a 50-60 minute drive of where we live. 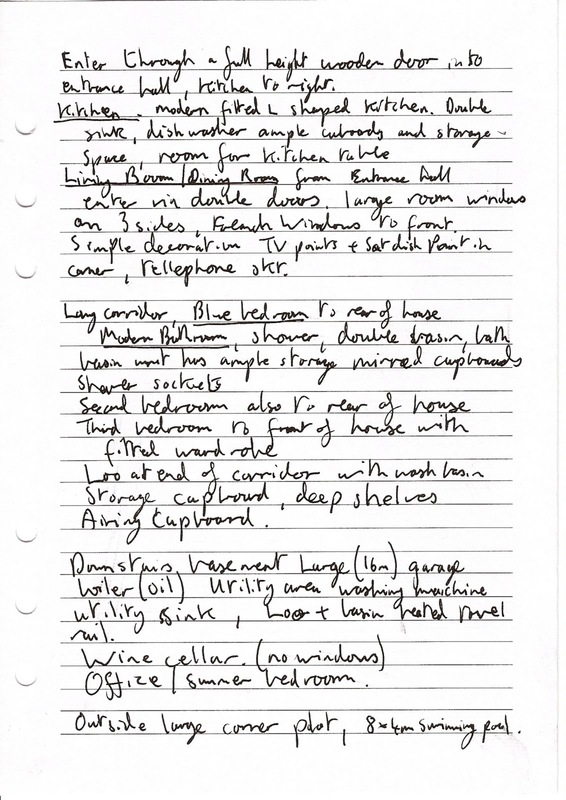 My own description of the house in rough note form, which just helps when you are looking back at the photos later that day or the next day. 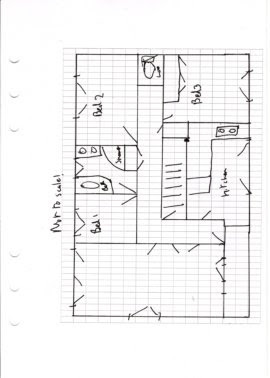 A sketch plan which together with the notes helps when we write up the detailed report for the client on each house. At the moment my pages and inserts are based on what I've been using so far, but I suspect over time it will expand, but with the A5 Finsbury with 30mm rings I will at least have the capacity to absorb and extra pages or sections. It's mid-month! Do you use your Filofax to do a mid-month review? I like to review my monthly goals mid-month, it always helps me get back on the rails. And to all you US Philofaxers, did you get your taxes in yet? Has your Filofax helped you with your taxes this year by recording info, keeping important receipts, etc.? You might recall that I actually put my Mini Finchley in to use as a Wallet/Filofax during my recent visit to UK. At the end of my UK visit I swapped my cards etc back to my Pocket Filofax, gosh what a change, the Pocket just seems so big! The Finchley worked well as a wallet I was able to tuck it in my back pocket easily. The mesh pocket worked well for coins. My UK paper driving licence tucked in to the full width pocket along with bank notes. At the moment my Mini just has a Week Per Page diary insert which is the minimum size you can get and I think most people with slightly busy lives would find this format slightly restrictive. So I decided to take a more detailed look at the other diary formats available from Filofax for this size. So there is a Week on Two Pages, what I like about this format was that it has equal spacing for each day. It is also all in English so there isn't wasted space for other languages. There is also a cotton cream variety, which is multi language format. This Week on one page with notes format might also appeal to some people as well. This is also multi-language format. 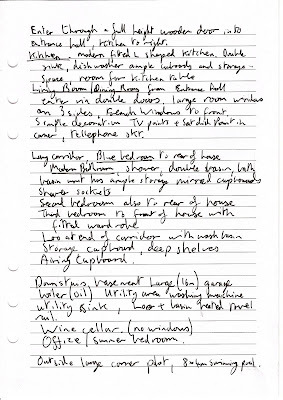 I would use the notes section for to-do lists and shopping lists etc. In UK WH Smiths the news agents also sell their own brand of inserts including diaries which are slightly cheaper than Filofax own products these are only in English, the paper quality from what I can see is no better, then again no worse than the thin Filofax thin paper. Although the Finchley Mini only has effectively two credit card slots, although the size of the mini means that you can have more than one card in each slot and overlap them in the middle so you can see four cards quite easily as shown here. If I can get out of the need to carry my passport or just carry it separately. I could swap my Pocket for the Mini over here in France. Could this be a way of justifying a Mini Malden... hmm now there's a thought! Ring sizes... Filofax ring sizes that is, not wedding ring sizes. 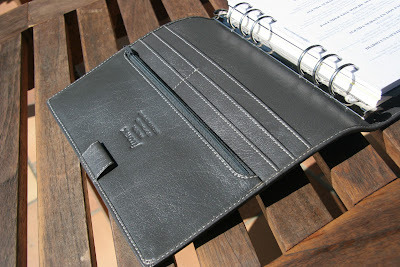 As you know I recently bought the A5 Malden Filofax Organiser. In the paper catalogue it is shown as having 30 mm rings. Likewise it was shown on the website UK and DE as having 30 mm rings. I thought perfect, but when I bought it at the shop I looked at the organiser and thought is that 30 mm? I should have compared it to a Finsbury A5 which I know has 30 mm rings. Where do they measure the 30mm? Looking on the website they don't mention how the measurement is made. So when I got back to France and looked at the Malden in detail compared to the Finsbury, I quickly realised that the ring size is in fact 25 mm not 30 mm as advertised. The ring size measurement is in fact the internal diameter not the external diameter measurement. Here is a Pocket Finsbury being measured with my measuring calipers, and it is 19mm as it should be. Remember I was an engineer so this sort thing is fairly natural to me! When I first discovered the error with the Malden, I was naturally disappointed, so I emailed Filofax UK customer service to point out the errors on the UK and German sites and in the catalogue. I got a reply quite quickly thanking me for pointing out the errors on both websites and in the catalogue. I heard tonight that the catalogues are being corrected by hand! They have already amended the UK website. But when I checked the German site just now, they have removed the Malden A5 from the site completely! 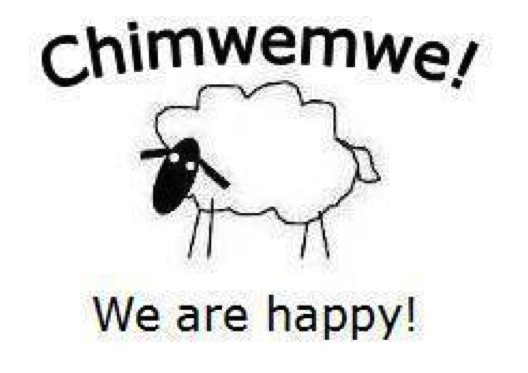 Sorry people blame me!!! I still love the grey Malden so much I have no intention of returning it. I could have returned it for repair complaining that you fitted the wrong ring set... but I suspect that wouldn't have worked! Our own price guide has been amended... and I warned Iris of Filomanic to alert German buyers as soon as this came to light. Filofax UK have been very gracious in saying sorry about this and they are sending me a complementary 2012 diary insert for sending them the corrections, so I'm not too disappointed. I will take my measuring callipers on future Filofax buying trips... me I trust no one!!!!! And this being the 10th one, how are people finding this opportunity to ask any Filofax related questions? Yet more excellent posts for you to read over your coffee break. 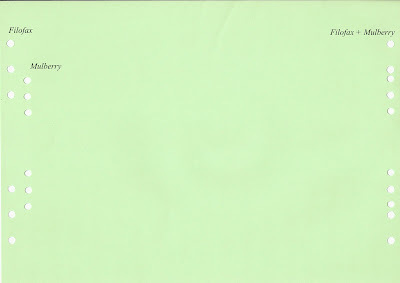 New Adelphi A5 for €4.90 - Filomaniac - and it's now been shipped! 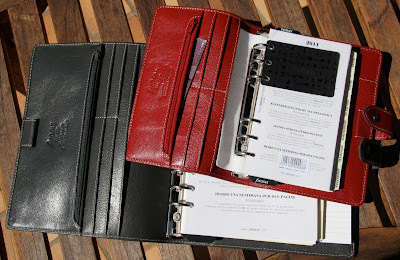 Seeing all the different uses Sharon has got for her (growing) Filofax 'collection'. I have decided to press in to service my Finsbury Pocket as my Car Filofax. I'm hoping to take delivery of my new car in the next few weeks and the Inky Blue will be a perfect match for my blue VW Touran. Does anyone else keep a Filofax in their car? What do you keep in it? 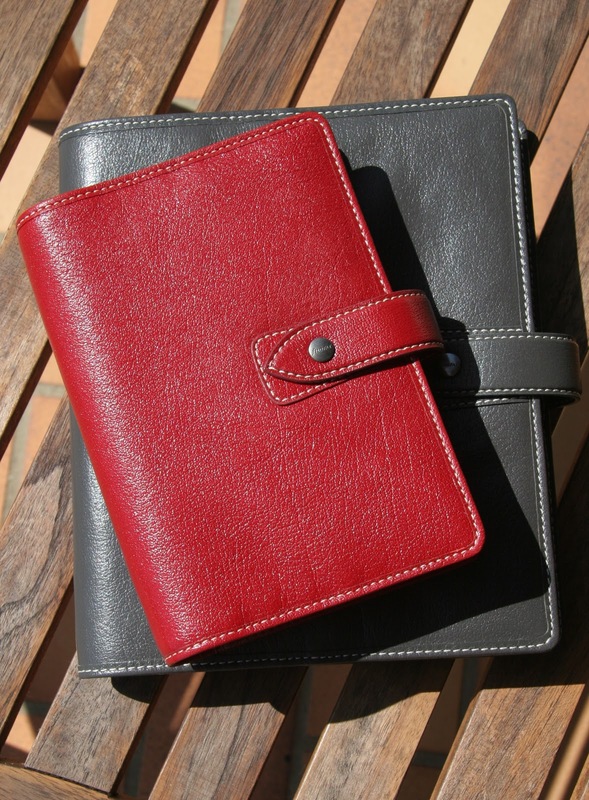 So summer is fast approaching and I'm sure you will be taking a Filofax or two on your travels with you. Yes the idea was inspired by the photo that @Tommes_S posted on Twitter of his Malden Mini in Italy. Mulberry Inserts in Filofax Organisers. We have seen quite a bit of discussion and interest in Mulberry Organisers/Refills whilst they look similar in size to Filofax, they needed further investigation to confirm the page sizes and hole spacings. I'm very grateful for Mulberry Customer Services for supplying the information below. Examining the figures for the A5 size and drawing the locations of the holes on a plain sheet of paper. The only holes that are in the same location are holes 3 and 4 on the Filofax line up with holes 2 and 5 on a Mulberry sheet. 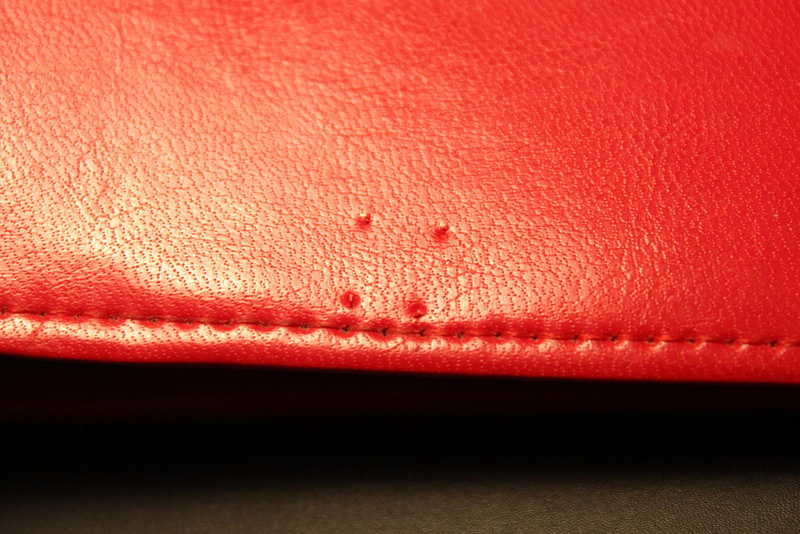 As you will see holes 1 and 6 on the Mulberry set are very close to holes 2 and 5 on the Filofax set, this might be a problem with long term use. Going back to Quo Vadis for a moment, their Timer 14 (Pocket Filofax) and Timer 17 (Personal Filofax) use exactly the same hole spacing as Filofax so no need to re-punch. 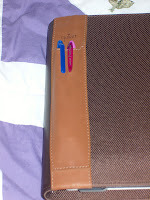 However, their Timer 21 (Filofax A5) uses slightly different ring spacing. The '3 ring spacing' is still 19 mm, but the distance between holes 3 and 4 is 50 mm. 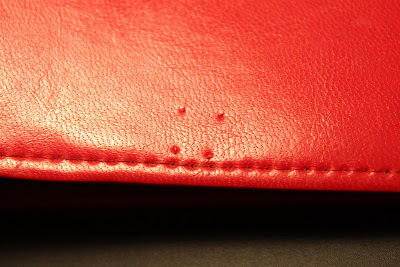 This results in the 3 holes being offset from the Filofax 3 holes as shown below. So I've caught the Malden bug recently, not only with the purchase of the A5 in grey, but I also weakened when I spied a Malden Personal in Crimson at a good price on Amazon. It arrived on Tuesday and I think it looks lovely. For once I'm not going to do any lengthy description, I think the pictures will speak for themselves. I really enjoyed photographing my 'Brace of Malden's' in the afternoon sun, lots of natural light is far better than any artificial light source. I hope you like this series of photos. Postscript: There is a printing error in the new catalogue and on the website, the Malden A5 only appears to have 25mm rings not the 30mm rings they mention on the site. I have complained about this to Filofax, it will be interesting to see what they have to say. I still love the A5 it's just a pity it isn't as advertised. Don't forget this Sunday is Skype Philofaxy Roundtable Look forward to chatting with as many of you as we can. But as it is Friday, the floor is yours to discuss anything Filofax related. 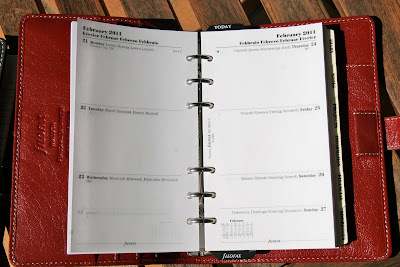 Everyone wants the 'perfect' diary for them, be it a particular format or a particular layout. Or is it that you would like better quality paper because you are a fountain pen user and you don't like the 'bleed through' you get with the standard offerings. We have covered alternative suppliers such as Quo Vadis before. However, you might already have a source of that perfect diary available on your PC/Mac in the form of Outlook. I'm not suggesting that you start keeping your appointments on Outlook and in your Filofax. 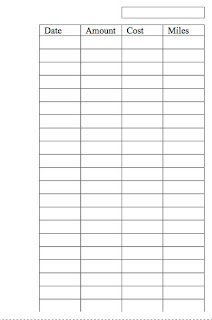 I'm just suggesting you use Outlook or a similar application to create a blank diary insert covering the period you want. If you select the 'Task Pad' to be included, it of course only includes the tasks from within Outlook. Now I like the idea of including To-Do lists on diary pages, but I like to be able to write them in myself and have the tick box. 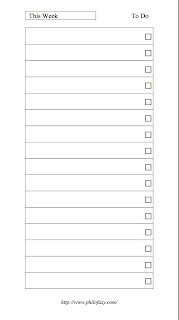 To get Outlook to add tasks I simply created a dozen or so blank tasks that just have a 'space' in the subject field. These 'blank' tasks will then appear on your diary when you select that option. The picture on the right used this tip to add the task lines. 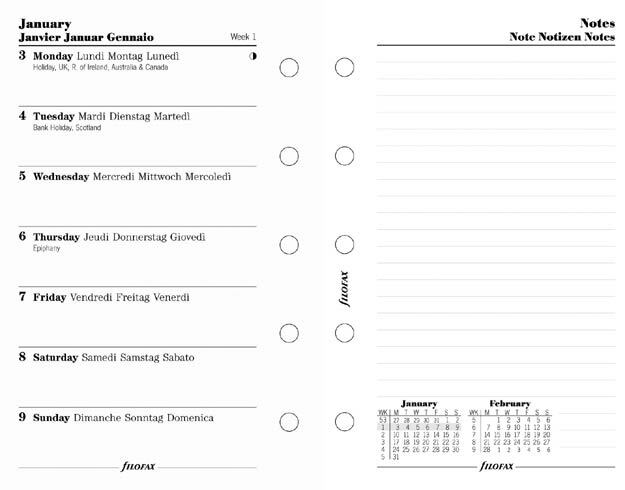 Now selecting paper for your diary, don't forget to check what paper your printer can handle reliably. You need to look at the paper specifications for your printer. 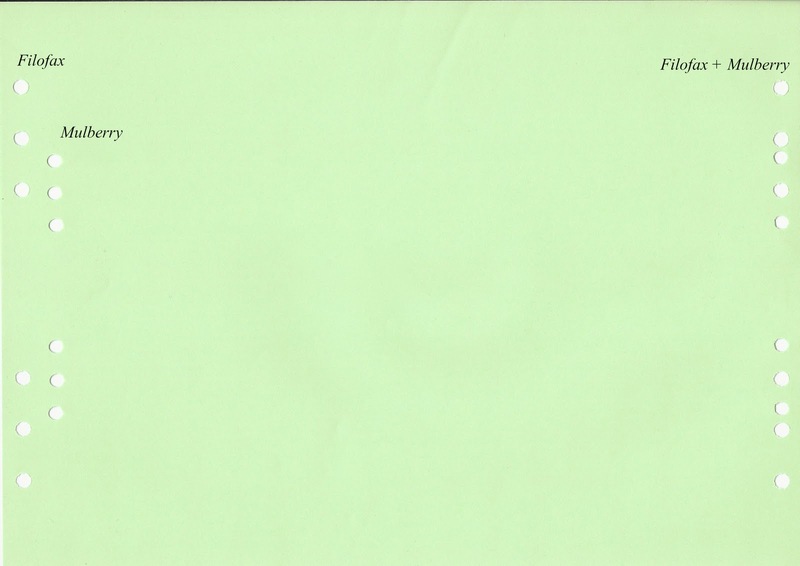 Some printers have different paper handling specifications for the manual feed tray compared to the normal paper tray. 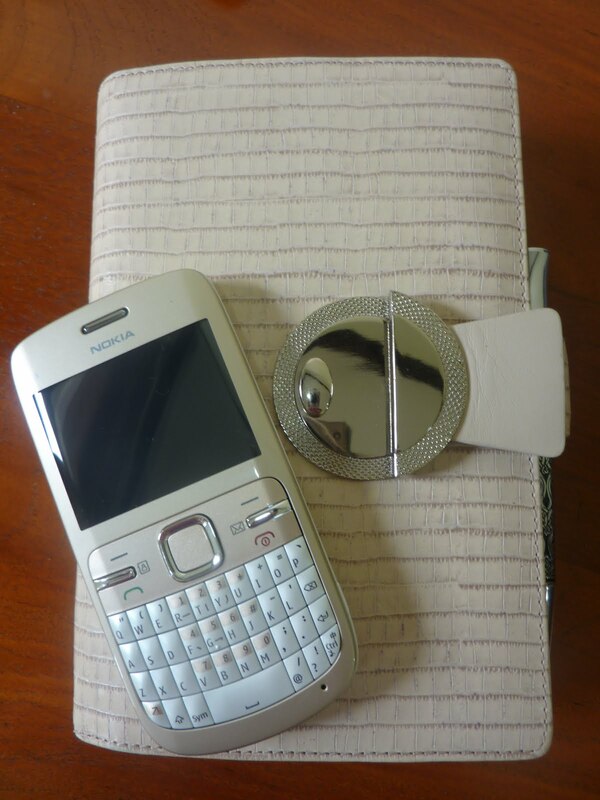 The figure you are looking for is the range of paper weights which is often quoted in grams per square metre or gsm. The thicker the paper the heavier it will be, but also remember the less pages you will be able to fit in to your Filofax, unfortunately you can't alter the basic physics of this. If you are printing your own diary you don't have to print the whole year in one print, you can break it down in to each month, change the colour of the paper even for each month, use tabbed month dividers without the usual problems associated with Filofax diary inserts. You can also print mixed formats to cover the year, say three months of day per page format, then say weekly formats for 3-6 month range and monthly layouts for 6-12 months, so the closer you get to events the more detail you can include. You will also need a paper punch and we have covered these in various posts before. 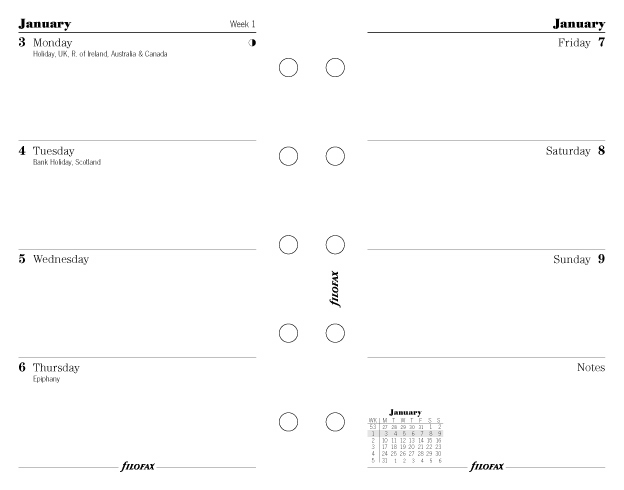 Printing A4 or A5 is fairly straight forward, but it is possible to also print your own personal size diary. 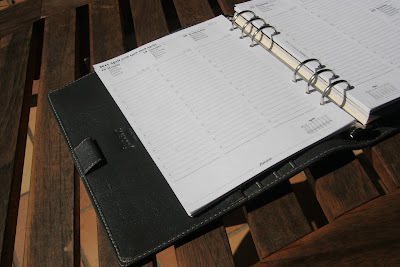 I think it's worth experimenting with trying out your own format rather than a preprinted one, you might find something that makes your Filofax work far better for you. No shortage of posts about our favourite topic is there! Filofax Update ..... it's a snake - So very.... Robin! With just a little tweaking - So very..... Robin! I am all of a Quiver!!! Having recently downsized in weight from an A5 red Graphic Zipped Filofax, to a lighter plain brown A5 Graphic, one problem soon emerged, and that was, that although my new Graphic had two pen holders, they would not accommodate two Frixion pens and still let the front popper close. Two pens are a vital requirement for me, as work stuff is written in my diary in blue Frixion pen and social/ family events in pink. For those of you not aware of the wonders of Frixion, it is a gel pen which rubs out and which is possible to re- write over. Utterly useful when using a Filofax to record and amend appointments. I was loathe to give up my new Filofax, or the beautifully coloured pens. After some investigating and searching via Google, I came across a solution to my problem; Quiver pen holders. They are beautifully made, hand- crafted in the softest leather and come in shades of light tan and black. Quite frankly they are a work of art and just lovely. Originally, they were designed for Moleskine notebooks, and come as a single pen holder, or a double, and are available in both small and large sizes.The single is more expensive, as it has a double elastic strap, to fit over the front and back of a notebook, and thus more workmanship. 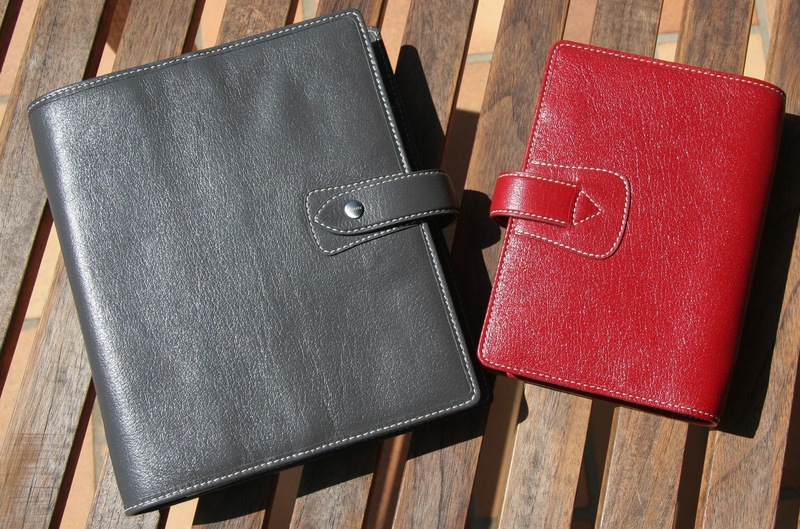 The double is the one which can easily slot over a Filofax type binder. The large double photographed here, fits beautifully over my A5 Graphic, and consists of a leather pouch sewn onto an elasticated belt to hold the Quiver in place. It is extraordinarily strong, incredibly easy to fit, beautiful to look at and functional. It will last for years, and is designed to do so. 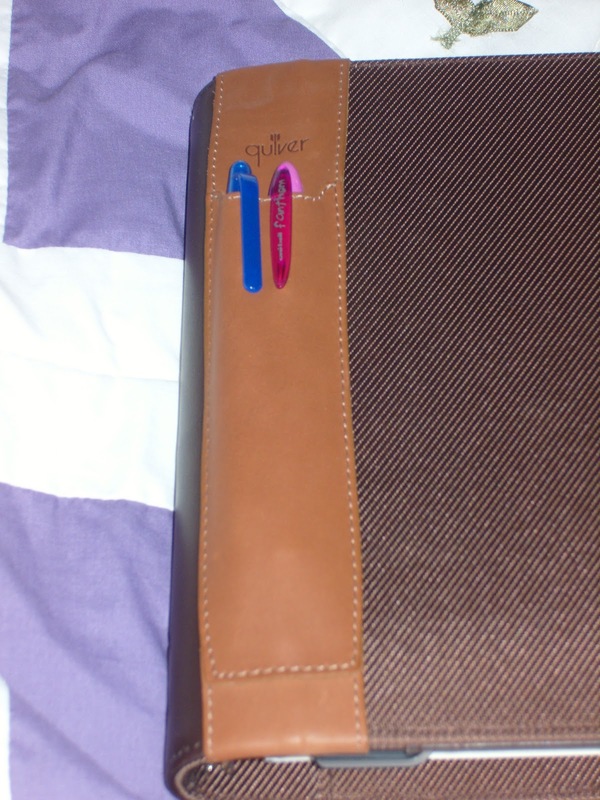 The width on the large Quiver is 4.5cm and so you require that gap between your card holder pockets in the inside front of your Filofax and the binder ring holder for it to be able to fit. The cost of my Quiver pen holder worked out at a reasonable £10, however, the postage from the USA added on another £8, making it a fairly expensive product; but I think well worth the investment. It makes my Filofax much easier to use and it looks extraordinarily elegant. The company has sold Quivers to some of the Hollywood elite, including Oprah Winfrey, who apparently has been seen sporting one on her research notebook. It is also possible to purchase Moleskine/Quiver packages from the company direct. The customer support team were incredibly helpful and I cannot praise them highly enough. They pride themselves on what is a quality product and when my first tan Quiver arrived with loose stitching, not only were they genuinely apologetic at the rarity of a fault, and had it replaced by mail within the week, but a second black Quiver was sent with their compliments, free of charge, to cover my inconvenience. An extraordinarily high standard of service. Cue the perfect excuse for the instant purchase of a second Graphic A5 in black, when I spotted it at a reduced price!! 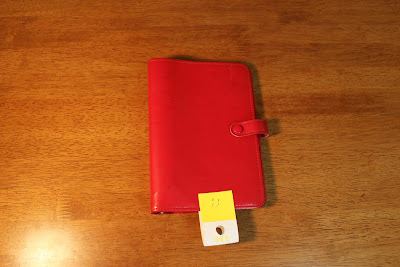 This is just a superb product for Filofax or Moleskine notebook fans, and I feel so elated at having made such a useful discovery, that I wanted to share it here on Philofaxy. 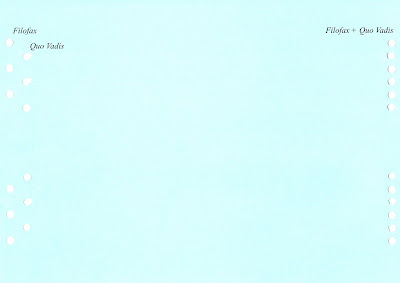 Wonder if any other Philofaxers will be all of a Quiver before too long?